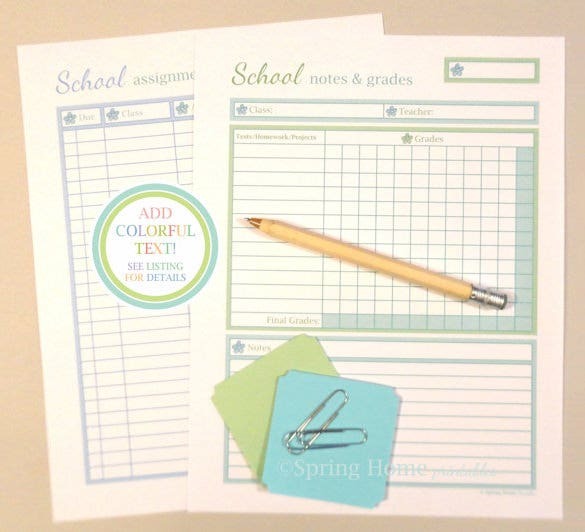 It is a schedule that every student should create in order to achieve their academic excellence. However, it enhances individuals organizing abilities. Steady planned work is sure rewarded in the long run, if not followed students definitely burn the midnight oil during exams. In short, it’s a time management in which one can minimize leisure times and can use that time for studying. 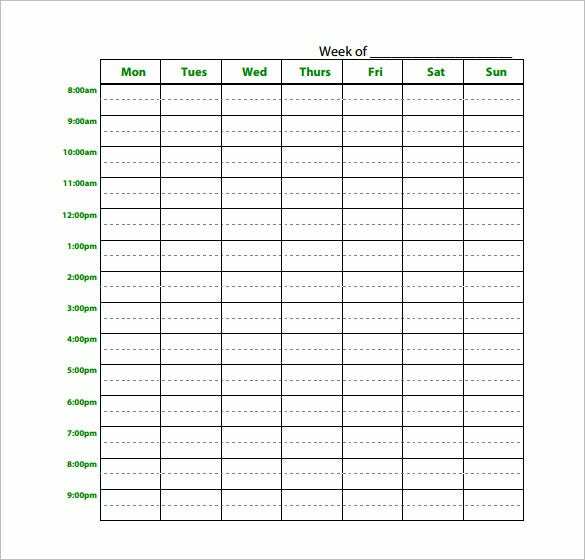 You may also see Weekly Schedule Template. 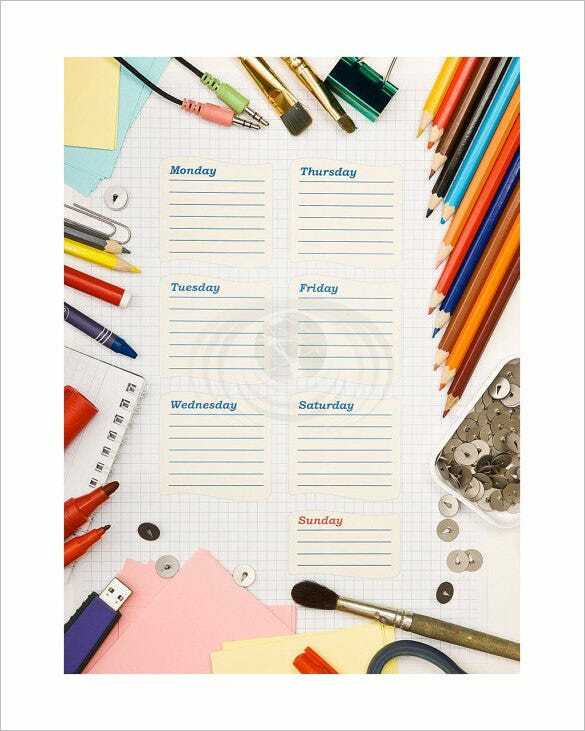 scheduletemplates.org | It is simply a record of all your daily routines like when will you be at school and would return back, time at which homework is done, extra curricular activities. Even when you sleep and eat, watching TV is also noted. Tasks are set to be done based on monthly planning and should see that targets are achieved. To fruitfully complete all tasks, prepared schedule must be followed. 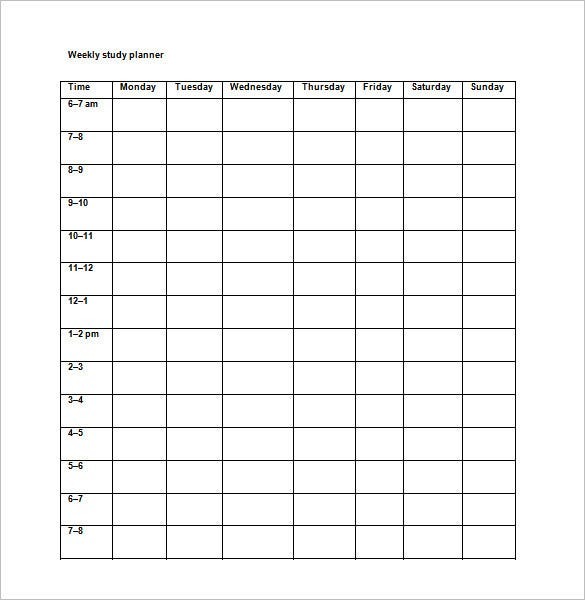 After writing daily routine schedule for a few weeks, you can get an exact idea when can you prepare for extra study, which sessions require more practice. Thus, on this basis tasks are set. 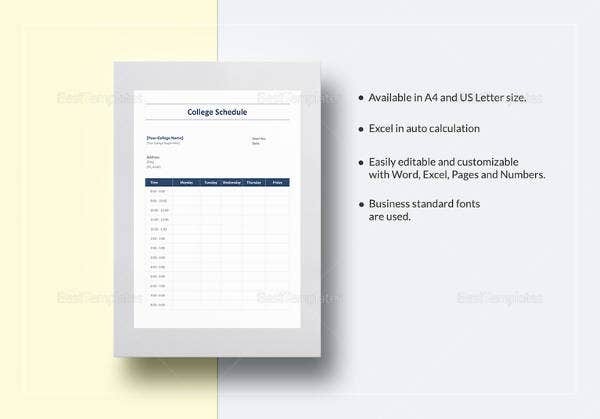 These free schedule templates along with College Schedule Templates allow you to stay more focussed and manage time as per your convenience and become organised. 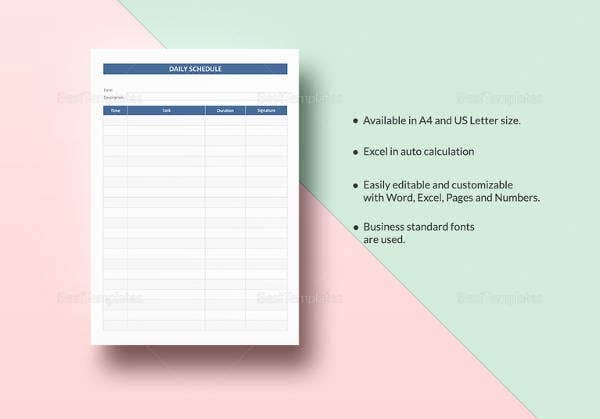 Download these templates in format of your choice from various samples and examples, print them and get started. The main purpose is to help students to achieve target grades. Some important things which should be kept in mind..
First, gather all information regarding exams or tests in your school, then accordingly prepare your schedule. 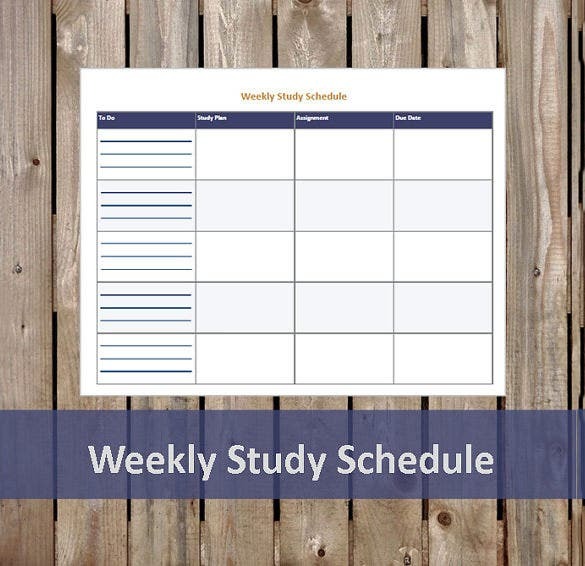 There are no standard strategy/rules to create a study schedule. 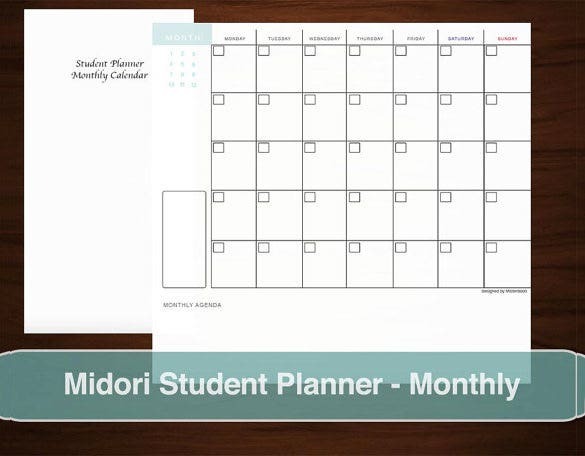 Different schedules are prepared by every student based on their individual analysis . 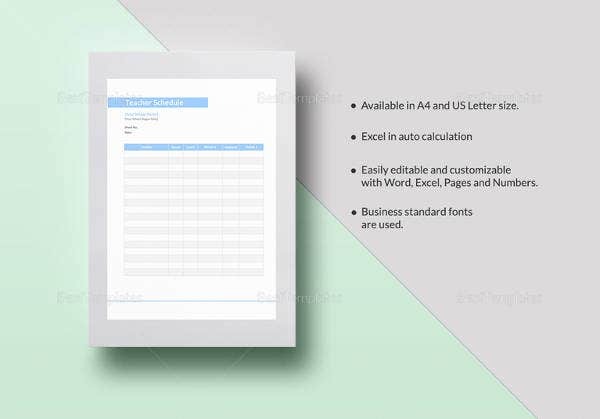 Remark those tasks which are performed with pen or pencil. If possible, manage your time for the group as well as individual study. Before you start any course, gather all information about that course like syllabus, reference books, previous years papers etc. 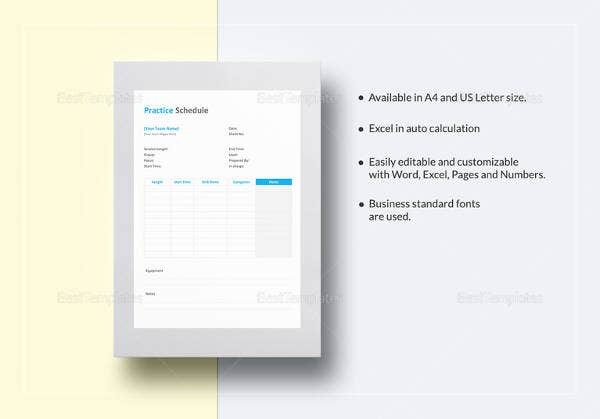 Don’t create too much rigid schedule. Prepare for a subject for 1-2 sessions. Have a balanced diet in order to concentrate well on your studies. During break take a small walk, listen to a song or can have energy boosting food. Prepare your own handwritten notes, which will be useful while revising. 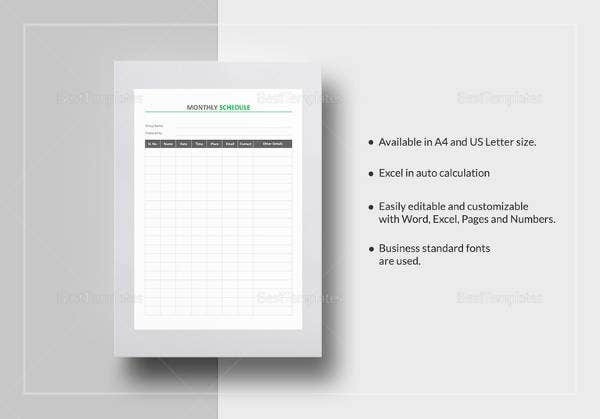 Also one can make a list of formulae and important topics or topics which you feel are difficult. Manage your time wisely to revise your prepared topics at regular intervals. How to create a Study Schedule..
First, prepare a record of all your current activities and find out which timings can be utilized for studying. Decide your target score and then plan your schedule accordingly. Before you start preparing decide your study style and study area. Make sure that you take breaks of 5-10 min after around every session of study (1-2 hr). This study schedule should be strictly followed. 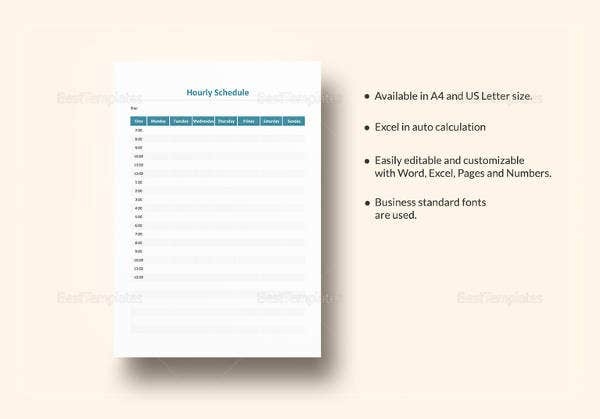 If necessary, you can also modify your schedule if task with higher priority emerges (like a unit test, monthly test). Group study is also beneficial. Make a record and check your progress, this schedule is helpful in achieving target or not. Study schedule is a study plan that makes an individual more organized and helps in developing strong determination to achieve their goals. 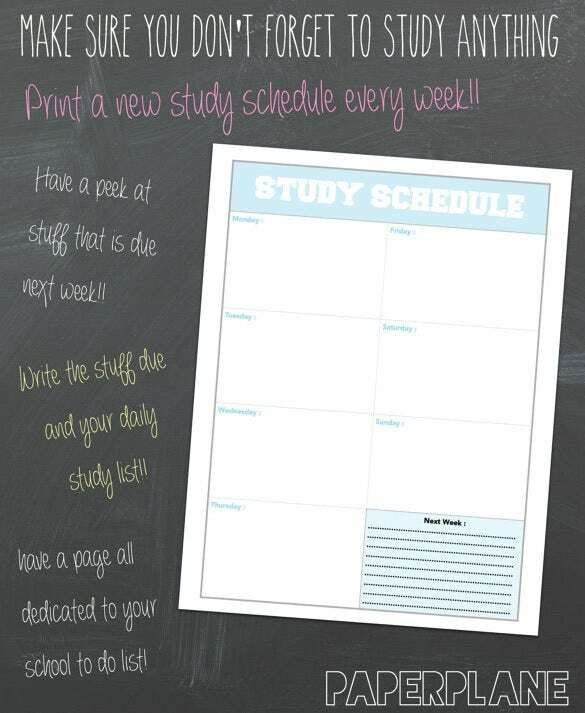 Following a study plan, increases ability to work, stress reduction and improve your results. 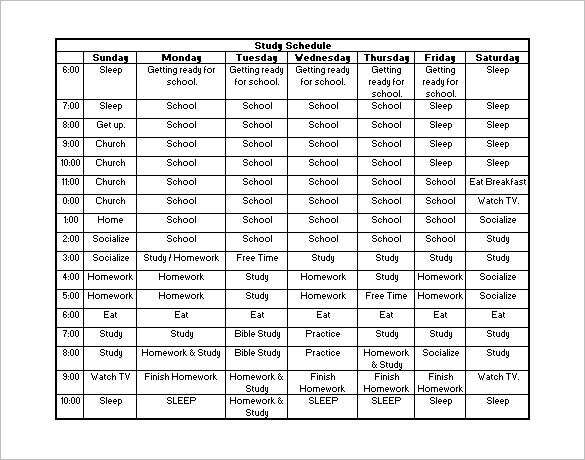 A variety of study schedules are available. 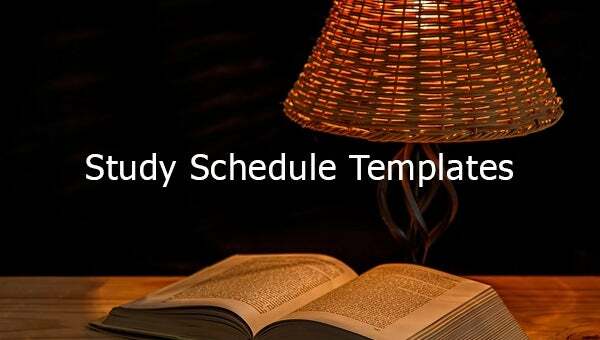 Study schedule templates are available in both document and pdf form. 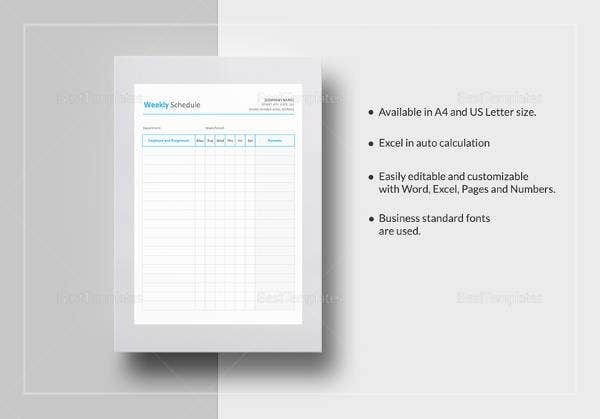 All the document is compatible for various types of software versions. As our work and service are customers oriented, so feel free to give any suggestion regarding any improvement as per your needs and demands.